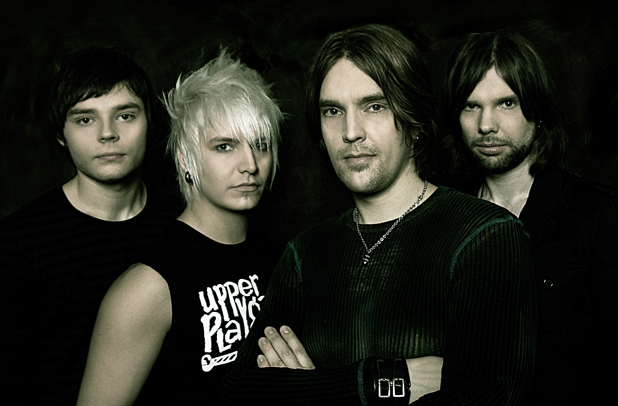 Musician Janne Kärkkäinen could have not chosen a better name for his new band: Phoenix Effect. 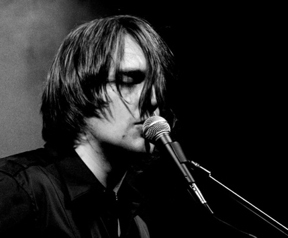 A couple of years ago he was in the middle of a bonfire, being “invited” not to continue as guitarist by the other members of Sunrise Avenue, the international successful Finnish rock band. Now in 2009, he has got musically reborn with a new and super strong project that is hitting very high in the Finnish charts surrounded by the good company of the friends of Poets of the Fall, bringing on great lyrics and demolishing songs… and with a new role on stage as vocalist! Hello Janne and thanks a lot for dedicating your time to answer the questions. So here comes the debut album for this new project. How can you describe Cyanide Skies for the people who would have not yet listened to the album, and in what direction would you like to see Phoenix Effect to progress? I could say that it is a modern rock album with all the smoothness and edges still in place. We tried to make songs pretty much as they came up, and not to think too much how they would fit the “radio-hit-format”. As a result, I hope the songs would last a bit longer than songs nowadays do. And that’s the recipe; I want to do the creative process in the future as well. Would you like to count with “fixed” members for the band for the future, or is more an idea of having your personal project + invited musicians? Even though PHNX started as a solo project, I’ve always had a vision that one day it will evolve to be a “real” band. Today we are getting really close to the point because we are only missing a drummer now ;) Pyry Nikkilä is playing guitar and Lauri Hämäläinen is on the bass. Do you have any favourite song from the album? I sometimes think that I have but then it changes… The songs vary quite a lot from each other so it pretty much depends on the mood that I’m in. Every song is precious, so I don’t dare to pick just one. I read that the decision that you would be the singer was taken when most of the material for the album was already composed and you needed someone. Did you have previous experience as vocalist? 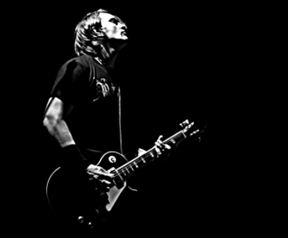 How do you compare it to the role of guitarist that you had, for example before, in Sunrise Avenue? Well, yes that’s true. I never really thought that I would be the one to sing the songs, but the guys from Poets talked me into trying and step by step it started to feel more comfortable. So I pretty much have no experience of being the singer so I think there’s still a lot to do in that section. In another words, the role comparing to the SA days is totally different. The album has had a very good reception in the Finnish charts. Were you expecting this, or did you think that maybe after the departure from Sunrise Avenue, media would not pay so much attention to your following musical steps? I wondered about that quite a lot when we were recording the songs, but I have had a feeling that, in general, the music is the one that will make the difference in any case. Of course it helps that some people know me from SA, but at the end of the day you always need to start from zero with a new band in any case. And what comes to the chart position, it was a wonderful surprise. I really didn’t know how it would turn out. I know quite a lot of people have found some kind of grunge influence in the album. Actually it also happened to me; it reminded me a bit of for example Pearl Jam in some riffs. Do you agree or disagree with it, or was a kind of sound you were looking for intentionally? That was something that popped up after the release of Broken Promises. I had never noticed about it before but now when I think about it now, I can agree with you totally. Pearl Jam has always been one of my all time favourites, so I take it as a big complement! Please tell us a bit more of the collaboration with your friends of Poets of the Fall. It seems that happened quite naturally, isn’t it? Do you think they will be involved in future albums again? To be honest, the whole process felt really light in a way. We seem to share a lot of opinions so we had no need for arguments or anything. Of course there was a lot work but then again when you are doing something the thing you love, it does not feel like you’re working. And we will continue to co-operation for sure. Probably some of the readers have read more about it, but maybe some others do not know much of the reasons of your departure from Sunrise Avenue. Can you explain a bit more in detail what happened (if you are not too bored of answering always the same question…)? Do you keep some relation or contact with them or not after these months? This is still a question that I cannot answer properly. The whole thing happened within a couple of days and I was given an explanation that did not make any sense. At least not to me. We have not spoken since. What are the plans for 2009? Finnish summer festivals or gigs abroad in perspective? We are aiming to play as much shows as we can. And naturally we will go anywhere we are invited, even abroad! Favourite band you have shared stage with? Favourite memory of a concert? Hobbies when you do not work as musician? Do you remember the last CD you bought? Place you would like to play on live but you have not had yet the chance? What is the craziest thing a fan has done in front of your eyes? Maybe not something that was done in front of my eyes, but one fan bought me a star from the sky(!). It’s called “Phoenix Effect”. And the craziest thing you have done backstage? I’ve watched Scott Weiland play playstation wearing a poncho and a cowboy hat.